Pictured above: Historic Annapolis, the capital of Maryland, at night. The new and improved Daily Digest newsletter has resumed. The feature we like the best is the listing of all new Comments to our news (blog) stories. It&apos;s a great way to see member comments on posts you might be interested in. The feature we wrote at the end of 2010 about the worst states generated many passionate responses. With new data out from the Pew Center for the States, and as a followup to last week&apos;s "worst weather" article, we thought this would be an ideal time to look at retirement states from yet another angle. Click on a state to see reviews of 685 great retirement towns, plus a list of 1,340 active adult communities. This town in Texas has a distinguished pedigree. Known as the oldest city in the state, it dates back to the 1700&apos;s as a Spanish colonial town, and even further to 700 B.C. 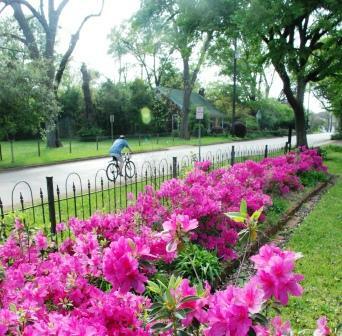 It is a Certified Retirement Town and is also home to Steven Austin State University. With so many active adult and 55+ communities offering "Stay & Play" or "Discovery" Packages, we can&apos;t think of a good reason why you wouldn&apos;t take advantage of them. You get subsidized accommodations and recreation, and most of all - you get an inside look at interesting communities. The Wall St. Journal had an excellent article recently, "Test Drive Your Retirement Community". Topretirements ran 2 articles: "Stay and Play is the Way", and "What Wes and Ida Learned from Their Weekend Discovery Package". All 3 articles list communities that offer these Packages, but almost any new community will offer one if you ask. Here&apos;s where our members can post FAQs and get their questions asked. Check it out - or ask a question. If you love history and being around the water, it is hard to do better than Annapolis. Home to the Naval Academy as well as being the capital of Maryland, the city still has much of the charm of the 18th century colonial center it once was.